WCPE Summer Break! – WORST. COMIC. PODCAST. EVER! Home › Worst Comic Podcast Ever › WCPE Summer Break! Having just published our 100th podcast last week, the guys with the Worst. Comic. Podcast. EVER! have been asking ourselves what’s next for us, in 2016 and going forward. For right now, it means pulling back and taking a break of sorts. Don’t worry, you will still be getting at least one podcast each and every week. That part hasn’t changed. In fact, we want to focus MORE on the podcast. We want to put out the best podcast possible while still maintaining our status as the Worst Comic Podcast…. EVER! But you will be seeing less of the other features on our site and social media channels. Our Four Comics I Want feature is going on summer hiatus. We still expect you to go out to your LCS and buy four, if not more, books each Wednesday. We have a busy con season ahead of us, and we expect all of you to stop by our tables at the future shows. 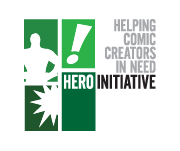 We will be hosting panels, promoting the Hero Initiative, and spreading the good word of comic books and WCPE. We want to meet you, so please visit (and bring treats!). We’re also looking at expanding our reach – with your help! If you are interested in contributing to WCPE with reviews or previews, drop us a line. We would love to talk to you about ways that you can be part of the WCPE experience. Cullen, Jerry, and John have lots of new projects planned in the coming weeks and months. We are excited to roll out these updates and hope to make this crazy thing we do even better. We are the Worst. Comic. Podcast. EVER! and we hope you enjoy the show. Tags: Cullen Stapleton, Jerry McMullen, John Holloway, Worst Comic Podcast EVER!